Supply Chain Management is a key to successful business. Just ask farmers who are looking for delivery to grain terminals or process elevators. Or, the end of the supply chain ask a flour miller, a packager or food manufacturer how important it is to have timely delivery of product. CEO’s of companies realize that disruptions in supply have a direct and devastating impact on asset utilization. Personally, I believe it is the CEO’s fiduciary responsibility to implement strategies that assure that our growers get grain delivered on time. And just as important, deliver product to our domestic and international customers on time without fail. However, our No. 1 disruption in the supply chain still remains with the railroads poor level of service. As evidence of this failure, I point to the recent build up of ships waiting in the Port of Vancouver. The chart below shows there are 25 vessels waiting to be loaded. A sharp increase from only 15 vessels the week earlier. Vessels waiting to be loaded charge demurrage fees that cost tens of thousands of dollars per day. Ocean containers cost one hundred to two hundred dollars per day. Shippers ultimately pay these costs when the railroads are clearly responsible. The root of the problem is the railroads failing to fill and supply cars ordered. According to the AG Transportation Coalition, pulse and special crop shippers only received 7% of the cars ordered in August and 11% of cars ordered in September. This failure to supply cars cost the industry millions of dollars. Meanwhile, Hunter Harrison, CEO of CP Rail was compensated with $20 million as stock last year. Essentially, this adds up to a transfer of wealth from the balance sheets of grain terminals and process elevators to the bottom line of the railroads. 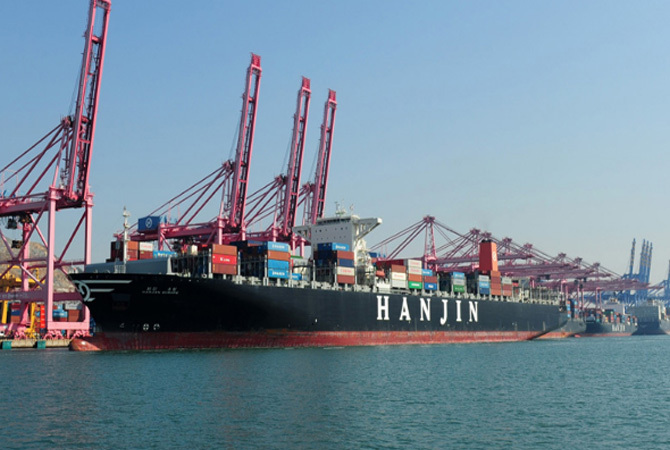 Hanjin is the eight largest cargo container shipper in the world, filed for bankruptcy in September, stranding nearly 97 ships with almost 500,000 containers offshore. Ocean freight rates have been going down as the global economy struggles. It was inevitable that one of the shipping lines would fail under the weight of too much debt and insufficient revenue. Luckily we did not have any containers on this line but those who did have had challenges getting cargo unloaded as Hanjin did not have the money to pay for terminal handling fees at the ports. Rates for ocean container suddenly went up as shippers looked for alternative freight options. This disruption could cause some temporary congestion in the Port of Vancouver. Meanwhile, Hanjin has been ordered to sell off its ships, containers and interests in terminals. It is unlikely there will be much left of Hanjin once all the smoke clears. The bankruptcy court will make their decision public in December. We can only hope that railroads do their jobs as we have nearly 67 million metric tonnes of grain produced of all crops in Western Canada. I believe this is the 3rd largest crop on record.